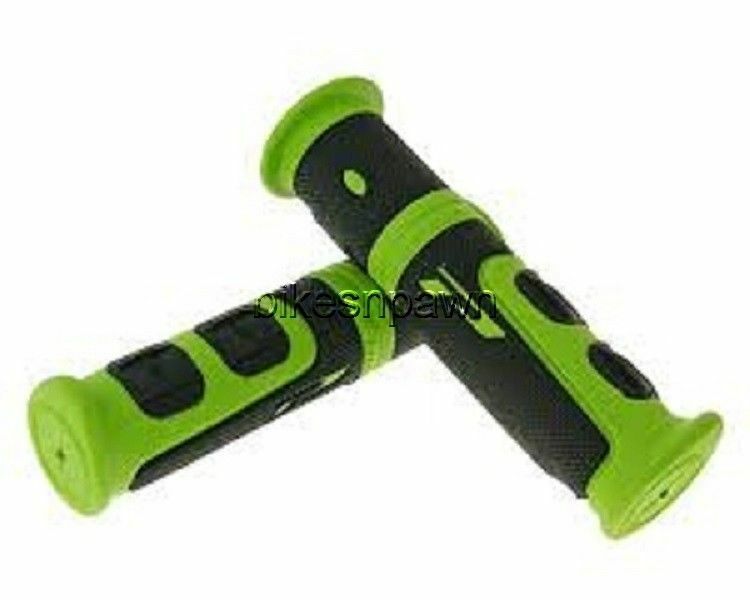 New Progrip model 964 EVO Black and Green ATV / Jet Ski / Watercraft / BMX grips. Will fit most all ATV's, Jet Ski's, personal Watercraft, BMX Bikes with standard 7/8" handlebars and thumb throttle. Note: If your ATV has a twist grip throttle like a motorcycle these will not .